An Ever Increasing Number of Cutting-Edge Modules are Configurable to Match Each Hospital’s Needs and Budget. NEW for 2018! The HEMS next generation mobile app has automated numerous backend application processes to make the user interface very easy to use and intuitive with lots of information concisely summarized, but still clickable to drill down deeper. The oneSOURCE HTM Service Document Database includes the most comprehensive online collection of biomedical equipment Preventive Maintenance (PM) and related compliance documents. A complete intelligent solution that makes the processes in maintenance management easier due to a number of user-friendly features and modules. The power of mobility means that laptops, smartphones, and tablets can all be used to manage work requests and review reports from anywhere in the hospital, regardless of the platform: iOS (Apple), Android, and Windows. Hospital equipment assets, while purchased for millions, cost many times their purchase price to maintain. With HEMS the data needed to make smart, cost-effective service, procurement, and retirement decisions is available. Flexible server options and the ability to connect to numerous platforms and applications. If your hospital has technology that you want to have your CMMS connect to, we provide several solutions to help you achieve this, allowing you to streamline your processes. Enterprise wide standardized corporate policies and procedures are easier met when they are published and always available in a centralized location. HEMS Best Practice does just this. EOC Reports and ECRI Institute module for identifying, tracking, and taking action on inventory recall alerts that affect a corporate-wide system. A hospital can license the HEMS CMMS for use on their own server(s). But using cloud services is a more attractive option for many. Known as SaaS (Software as a Service), this option has affordable, flexible monthly pricing. 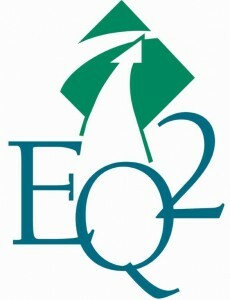 EQ2 is committed to customer satisfaction and support is just an email or phone call away. We also offer services to ensure a strong implementation.